Meteorologists with the National Oceanic and Atmospheric Administration believe this El Niño will likely peak this month or next. During the final months of 2015, it tied with the 1997-98 El Niño, which is the strongest since records began in 1950. 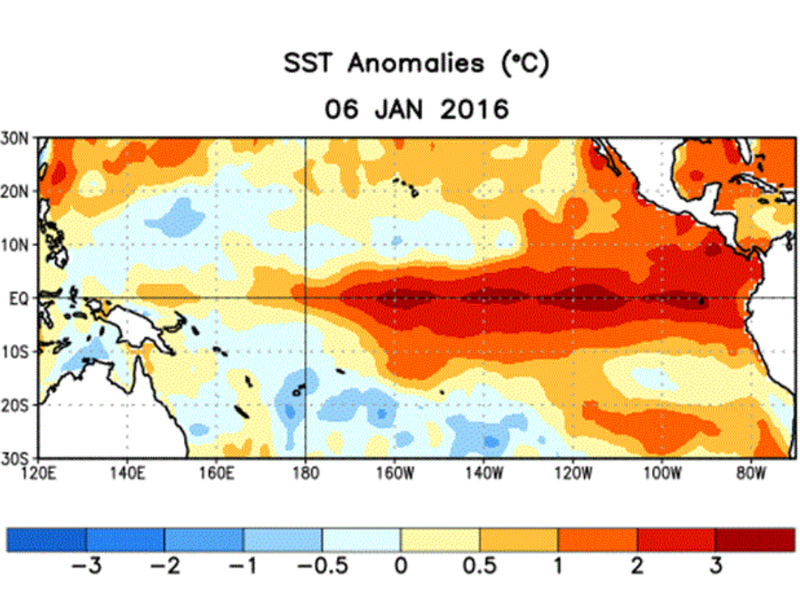 This means the effects of this El Niño may closely resemble those of 1997 and 1998. That was a very mild winter in the northern half of the country, and record breaking rain across the southern half of the U.S.
Just because the current El Niño is peaking doesn't mean its effects are peaking though, says NOAA. The United States will likely be feeling the effects of this all the way through the winter. 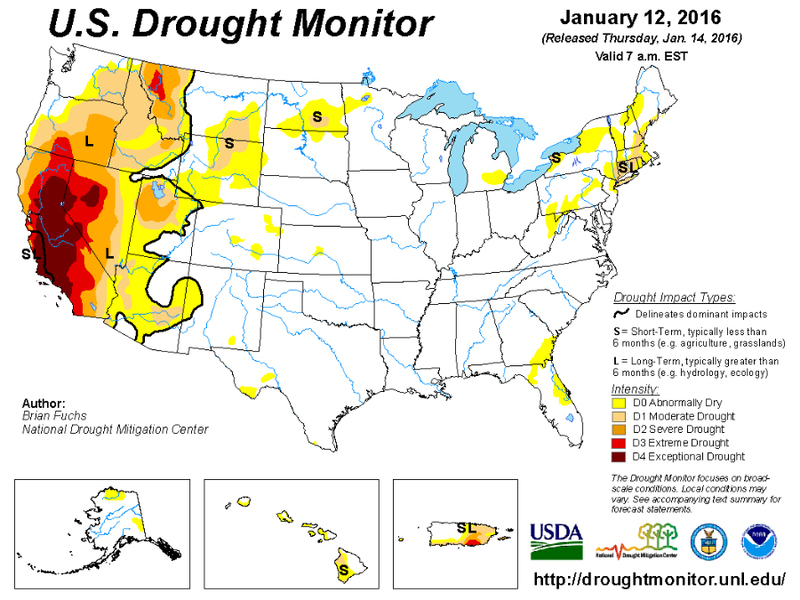 December and the first half of January have already been exceptionally wet in the Mississippi Valley, leading to record breaking flooding and the copious rain up and down the West Coast is very slowly eroding the drought away. Since this is potentially the strongest El Niño ever recorded, we can likely expect more of the same - rainy, cooler conditions in the southern half of the country and warmer, drier conditions in the northern half.